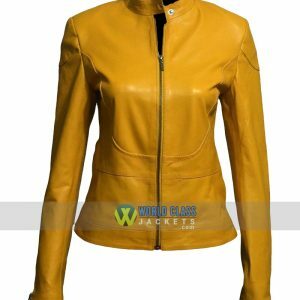 Pockets: 4 Zipper Pockets, 2 Internal Pockets. 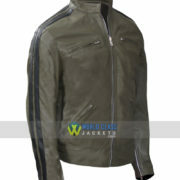 This eye-grabbing Green Leather Jacket belongs to the TV Series “Dirk Gently’s Holistic Detective Agency”, inspired by the novel series of the same name by Douglas Adams. 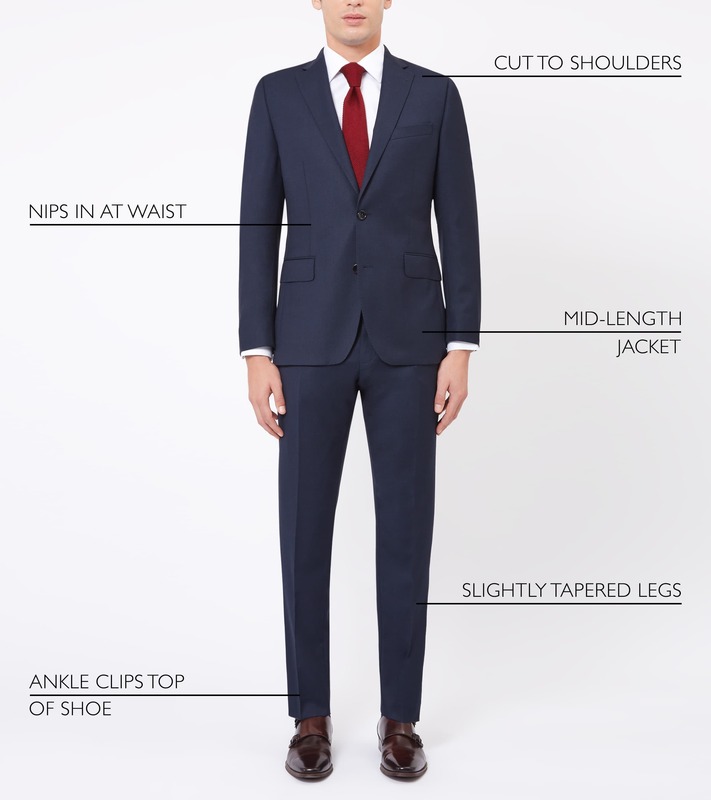 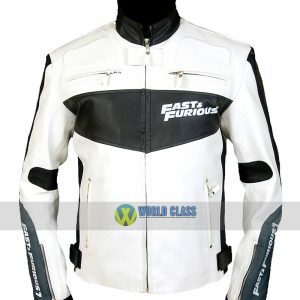 We try to make the Jacket with exact detailing and exact color, and here we try to provide you our best quality material which you can attire for many years ahead. 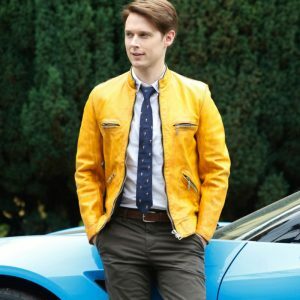 We Are Offering Special Discount of 26% OFF on this Samuel Barnett Yellow Jacket with Free Shipping to all major countries. 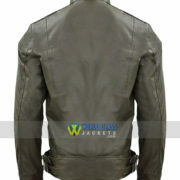 Get This Awesome Offer and Buy This Celebrity Jacket and Save $50. 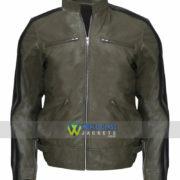 Female Version of this Green Faux Leather Jacket is also Available at Store. 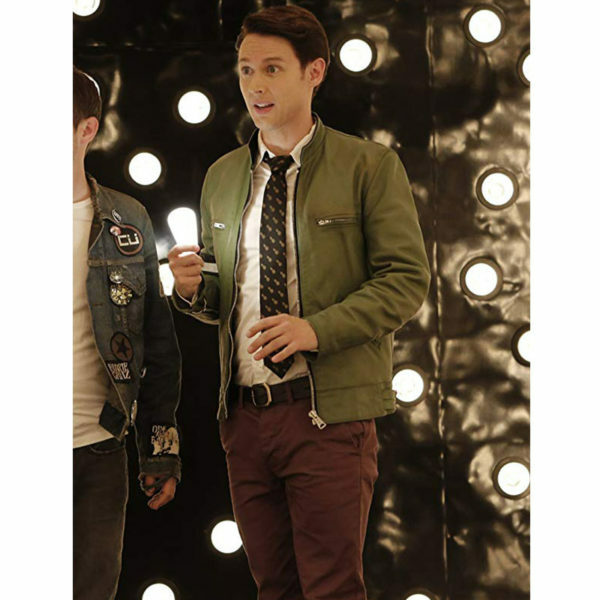 Dirk Gently’s Holistic Detective Agency is a BBC America comic science fiction detective television series created and primarily written by Max Landis. 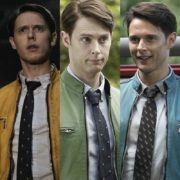 The series features an ensemble cast, including Samuel Barnett as the “Holistic Detective” Dirk Gently, and Elijah Wood as his reluctant sidekick Todd. 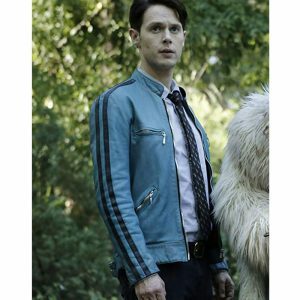 This Samuel Barnett Dirk Gently’s Holistic Detective Agency Leather Jacket is a available in all 3 variants (Yellow, Blue & Green) at our Store WorldClassJackets.com, it also contains best fabric viscose lining which will keep you relaxed.